The Gorkha Janmukti Morcha today won all 45 seats in the GTA but Bimal Gurung made it clear he was still eyeing the Dooars and Terai and would explore possibilities to give representation to the region in the GTA Sabha. Moments after the results of the 17 seats were declared — the Morcha had won the other 28 seats uncontested, Gurung said he was “determined” to get representatives of the Dooars and Terai, especially John Barla, into the GTA Sabha. “I am determined to get representatives from the Dooars and Terai into the GTA Sabha. I am 100 per cent confident that John Barla (the adivasi leader supporting the Morcha’s demand to include the plains in the GTA) will be in the Sabha,” the Morcha chief said. The GTA Act allows only five members to be nominated to the Sabha — two the Morcha has already nominated, and three that Mamata Banerjee has named — so how Gurung will manage to accommodate Barla is a question many were asking today. Yesterday, Morcha leader Roshan Giri had revealed the three names Mamata had given the Morcha, which effectively blocked the hill party’s move to name Barla as a representative from the plains. All five nominees are hill residents. 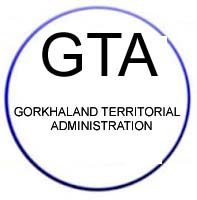 Gurung then mentioned “invitee members” to the GTA, without explaining what the term meant. But the GTA Act does not have any such provision either. According to GTA Act clause 5 and its sub-sections , the Sabha shall consist of 50 members, excluding ex-officio members.